Mukesh, who has been sentenced to death along with three other convicts in the case, had filed the petition. Has Nirbhaya incident changed anything at all? NEW DELHI: The Delhi Police today opposed in the Supreme Court a plea filed by one of the four death-row convicts in the December 16, 2012, gangrape and murder case for review of its verdict upholding the capital punishment awarded to him. 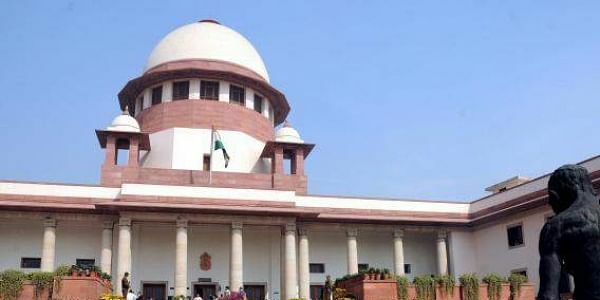 The police told a bench comprising Chief Justice Dipak Misra and Justices R Banumathi and Ashok Bhushan that submissions advanced by the counsel appearing for convict Mukesh does not make out a case for review of the apex court's judgement. The apex court had on May 5 upheld the death penalty to the four convicts - Mukesh (29), Pawan (22), Vinay Sharma (23) and Akshay Kumar Singh (31), saying the "brutal, barbaric and diabolic nature" of the crime could create a "tsunami of shock" to destroy a civilised society. A 23-year-old paramedic student was gangraped on the intervening night of December 16-17, 2012 inside a moving bus in South Delhi by a gang of six persons and severely assaulted before being thrown out naked. She succumbed to her injuries on December 29, 2012 at Mount Elizabeth Hospital in Singapore. During the hearing, the bench told advocate M L Sharma, appearing for Mukesh, that he has to make out a case for review of the analysis arrived at by the court in its May 5 verdict. When the counsel raised the issue of alleged "illegal evidence" against the convict, the bench said, "you had argued all these points and we had rejected it". "How were the marks of your (Mukesh) teeth found on the leg of the victim," the bench asked. To this, Sharma alleged that Mukesh was framed by the police and tortured. When he claimed that the state had bribed the victim, the bench shot back, "no suggestion was given in the evidence on this. You cannot take this ground in review now." Sharma also raised other issues, including that of dying declaration of the victim and the place of Mukesh's arrest. Senior counsel Siddharth Luthra, representing the police, countered these submissions and said these issues have already been gone into by the trial court, the Delhi High Court and the Supreme Court. Luthra, while taking strong exception to the allegations about bribing the victim, said these issues cannot be raised now. He said Mukesh was formally arrested in Delhi. The bench concluded hearing the arguments on the review plea filed by Mukesh. However, advocate A P Singh, who is represening the other three convicts, told the bench that he would soon file review petitions on behalf of Vinay and Pawan. He said that review plea on behalf of Akshay would be filed in 10 days. The bench listed the matter for hearing on January 22. Another accused in the case, Ram Singh, had allegedly committed suicide in Tihar Jail, while a convicted juvenile has come out of the reformation home after serving a three- year term.